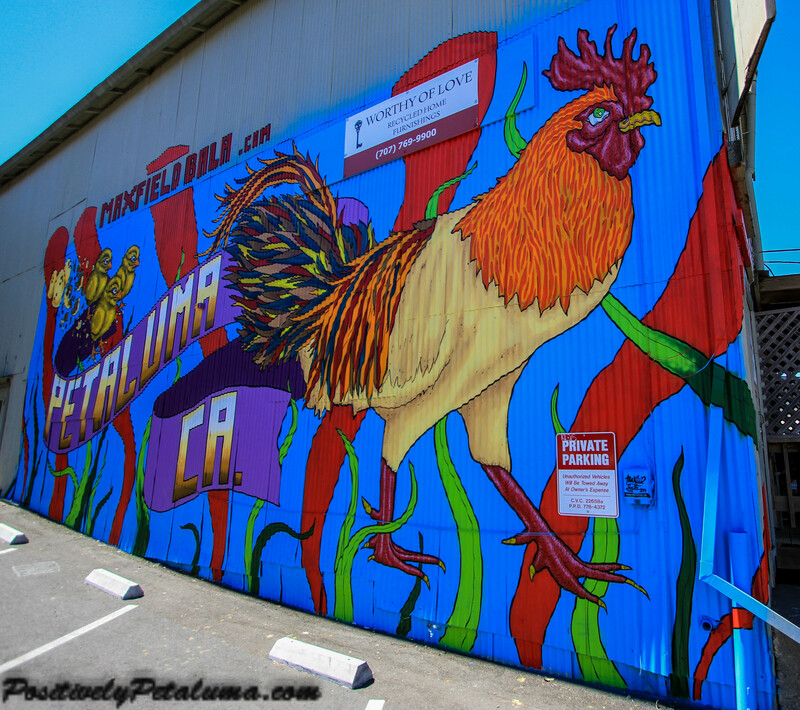 You may have already seen the new mural created by Maxfield Bala that has gained attention recently. 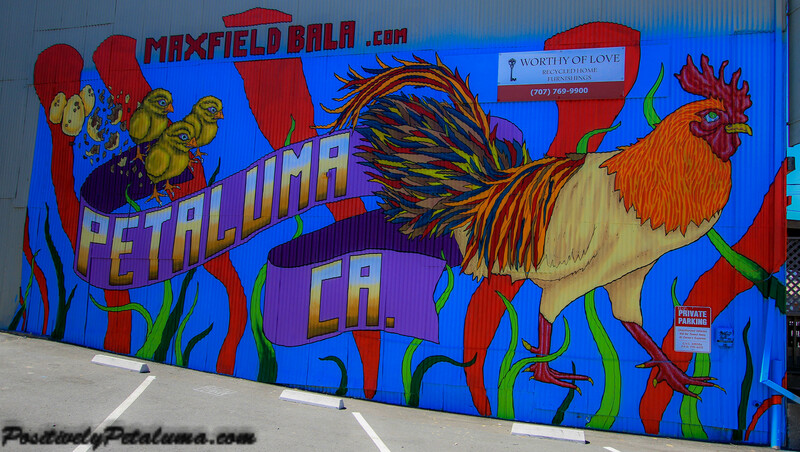 Maxfield and Andrew Bala just created a video now available on YouTube and Vimeo that shows Maxfield create the artwork with a time elapse and him working of scaffolding. 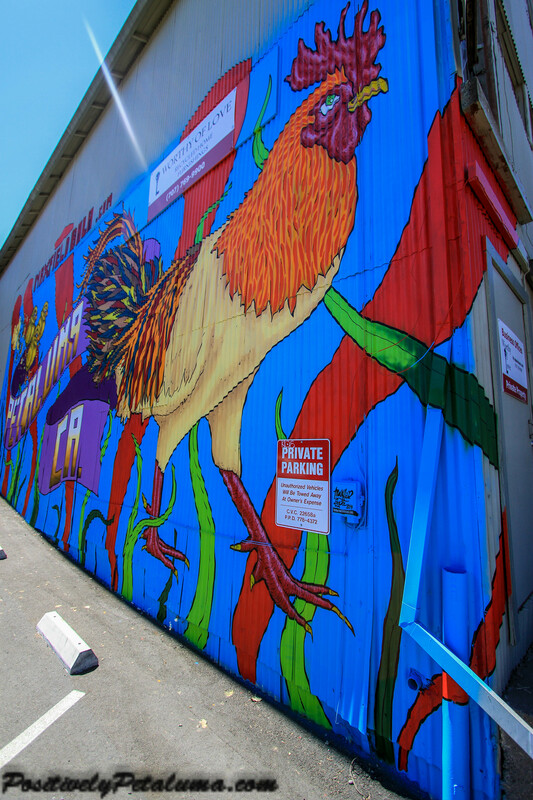 The mural is 20 ft. tall and 40 ft. wide and it is visible from East Washington in downtown near the bridge and Water street. This had to be a challenge for the artist because the surface, or Maxfield’s canvas so to speak, twisted and uneven corrugated metal. The finishing piece would not make you suspect the surface was uneven. Here is the recent video posted on YouTube. 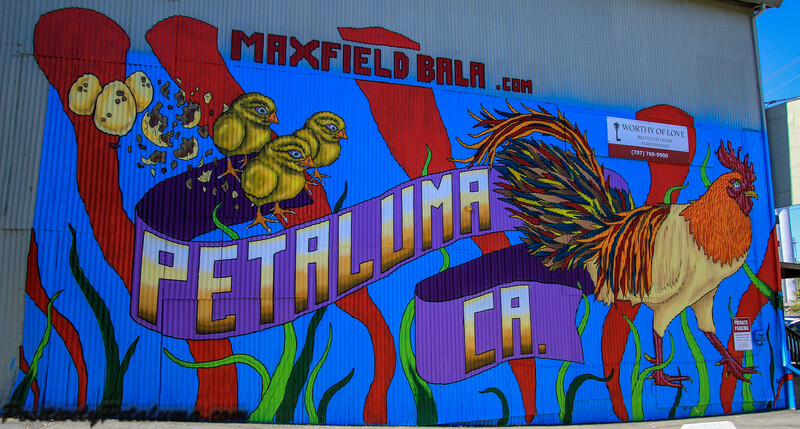 For more information about Maxfield’s work go to his website Maxfieldbala.com. 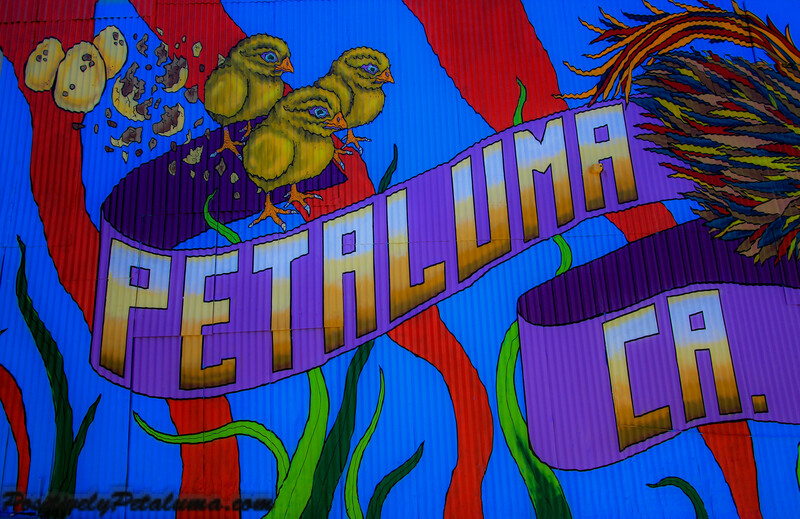 Here are some photos taken by Positively Petaluma.